There is no mp3 audio player for Side A of Early J & M Tape 2 because that side of tape consists solely of a dub from a copyrighted record. 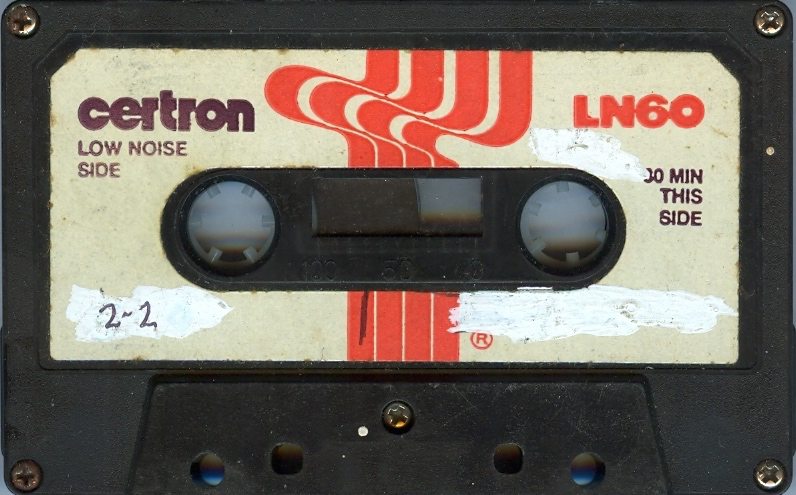 The section of pre-recorded piano music noted below has been removed from the audio file in the Side B mp3 player above. Cassette not stored in a case upon arrival, and case added on 09/05/14. 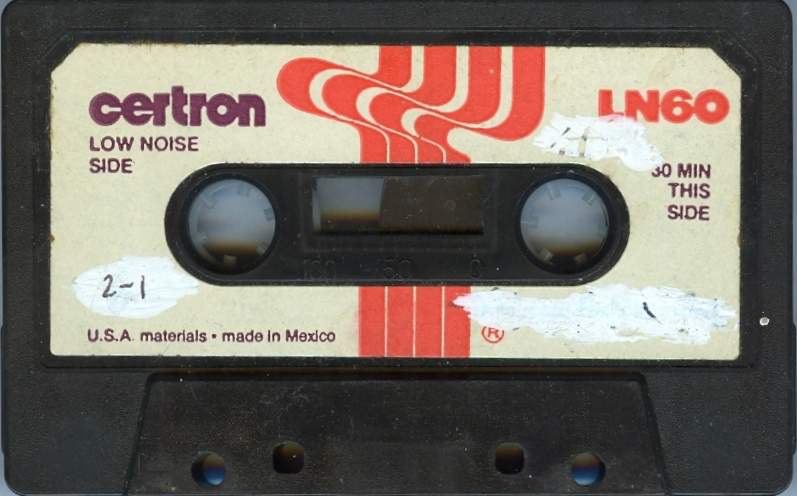 Certron brand 60 minute tape LN60. Both write protection tabs were intact. Removed 9/6/14. The first side of the tape (screws side) is labeled “2-2” in ink pen over white-out. The second side (no screws) is labeled “2-1” in ink pen over white-out. - 00:00 - dub from a phonograph record - maybe Art Zoyd or Univers Zero? [not included in audio player]. --- maybe Symphonie Pour le Jour où Brûleront les Cités?